* omitted from vinyl release. Follow The Blind is the second full-length studio album by the legendary German Power Metal band, Blind Guardian. It was released in 1989 and sees the band in a bit of a transition period, much more advanced than their debut but not yet fully developed into the full on Power Metal style they would become famous for on the next half-dozen albums. It also sees the band leaning more into a Thrash Metal direction than at any point in their career, with notable Bay Area Thrash influences in particular. If you like Exodus, Testament and Forbidden’s debuts, and you also like Power Metal then this album is a delightful middle ground. Its harder and more aggressive than future Blind Guardian records, and has also yet to develop the more progressive tendencies of their later period. What it lacks in scope however, it makes up for in sheer fury. 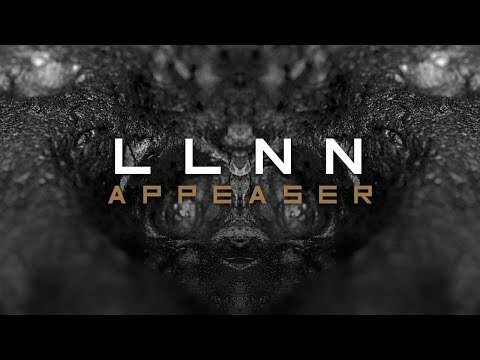 I think this album would be a great introduction to the band and indeed to the subgenre for fans of Thrash who are maybe afraid of Power Metal due to its reputation as being a bit flowery and wimpy compared to other Metal styles. On the downside however, for Power Metal fans especially, all that Thrash influence leaves less room for catchiness, melodies and variety as compared to their other work. That is not to say it is devoid of those qualities, just that it is a smaller percentage of the music than usual. Listen to ‘Fast To Madness’ for example… a brilliant Metal song, but you wouldn’t generate as big a sing-along as say ‘Time Stands Still at the Iron Hill.’ The title track does experiment with different tempos and balancing heavy and clean styles, but more in a …And Justice For All/The Years Of Decay way than in an Imaginations From The Other Side way. Both fine ways to be sure, just depends what mood you are in and what expectations you had when you bought the album in the first place. 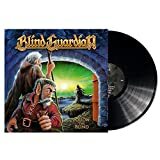 In terms of songwriting quality, I think Blind Guardian’s albums sort of just got better and better up until about Nightfall In Middle Earth, and so I think this album is better than their debut but not yet as good as Tales From The Twilight World, or the classic Somewhere Far Beyond. That is of course not to say its poor, just that it isn’t as good as the really good stuff. In terms of production, its a bit noisy and harsh on the ears, and works better in small chunks than as a whole. Not unlike fellow Power Metal Pioneers Helloween’s Thrashy Walls Of Jericho album in that regard. Speaking of Helloween, Kai Hansen makes some guest appearances on this album, both on guitar on ‘Hall Of The King’ and on Guitar and Vocals on ‘Valhalla.’ These for me are two of the best songs on the album anyway, and are made even better by Kai’s presence. 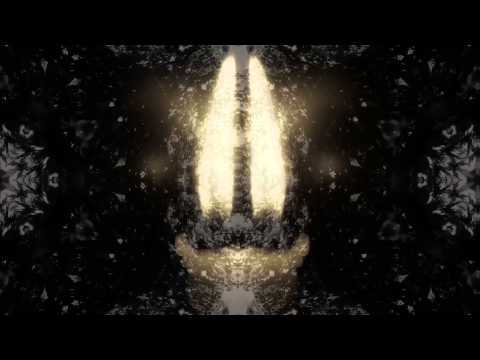 The other main highlight is the excellent instrumental ‘Beyond The Ice’ which is one of the best songs on the album for me, very pummeling, quite diverse and with astounding guitar work… it really shows off what a force the band are musically with its bouncy toms and double kicks and the excellent range of riffs and solos. Overall; Follow The Blind is an experimental album that sees the band trying to find their sound. It is arguably the hardest, fastest and heaviest of their records and arguably the least melodic and catchy. It is however a very decent album that no Blind Guardian fan should miss out on (how could you be a fan and deprive yourself of ‘Banished From Sanctuary’ or ‘Valhalla’?) and that would be a good starting point for fans of heavier music trying Blind Guardian out. 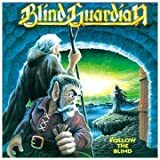 'Follow the Blind', the follow-up to 1988's debut 'Battalions of Fear', more-or-less follows in the footprints left by its predecessor in being nothing more than a generic, run-of-the-mill late 80's power/speed metal album. While there are some very subtle orchestral elements dotted around here and there, a sign of where Blind Guardian would go with future releases, it's still a long way off from what would go on to become the bands defining sound. The songwriting never strays far from the speed metal clichés, and Hansi Kursch's vocals, normally a pleasure to listen to, have yet to reach their full maturity here. The true gem of this record is no doubt 'Banished from Sanctuary', a song which remains a staple of any live set to this day. Otherwise, most of the songs sound pretty similar and it's hard to really pick out any specific highlights. 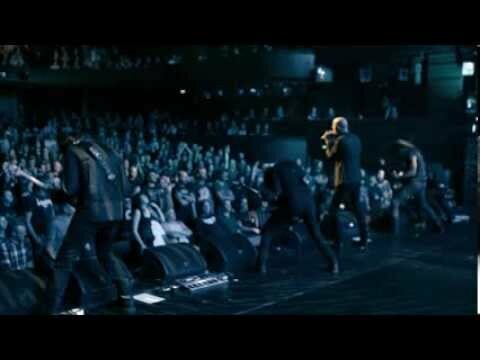 The production sounds exactly how you would expect it to, giving the music a raw, harshness that it needs, and a guest appearance from Kai Hansen (of Helloween/Gamma Ray fame), is a welcome addition, though only further distinguishes this album as nothing more than a standard power metal affair. Overall, it's not a terrible record, and I love Blind Guardian, it's just that this is a band still trying to find themselves. They'd certainly develop a sound to call their own over the next few albums, but otherwise, 'Follow the Blind' is one I'd recommend solely to the collectors. 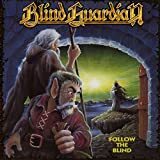 "Follow the Blind" is rearely metioned when people discuss their favorite Blind Guardian albums, but I actually think it is a very good power metal album. 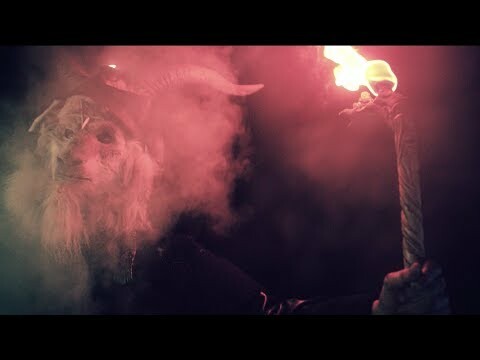 One of the things I like about it is that it combines the melody and epicness of German power metal with the speed of thrash metal, much like Helloween in their early days, but with more consistency to the texture of the music. And them of course, Hansi Kursch has a quite unique folksy voice, which suits the whose concept of Blind guardian quite well. 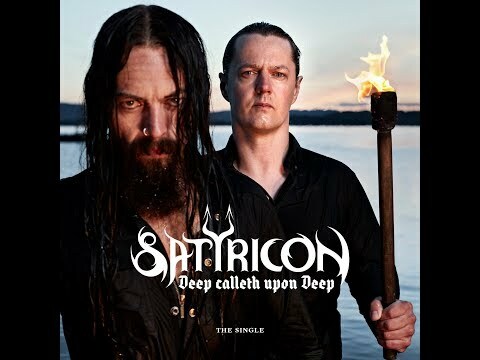 Most of the tracks have plenty of catchy twin guitar melodies and catchy and melodic sing-along choruses as in the case of the melodic chorus of "Banished from Sancturary", the soccer fan chorus of "Damned for All Time", and "Valhalla" which also features Kai Hansen on vocals. The style and sound on this album is rawer than on subsequent Blind Guardian releases, but I think it works very well, and I quite like the raw and fast style of early German power metal, which is displayed on this album. It is power metal, and it is epic, but the thrash/speed metal influences create a sense of balance which prevents the effort from capsizing into "the seas of cheese" (than you, Primus). I think that this album will appeal to fans of power metal, speed metal and traditional metal alike. Certainly, if you're a fan of German metal in general, your life will be incomplete without this album in your collection. 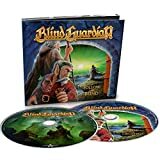 No BLIND GUARDIAN FOLLOW THE BLIND reviews posted by members yet.